Our PA Live! Blog of the Week this week is Tami Quigley's Trailscapes (http://trailscapes-tami.blogspot.com/). Since June 2011, Tami Quigley's blog Trailscapes has featured nature photography and more from Northeastern Pennsylvania and beyond. Tami's images showcase the beauty of the region, and the more beautiful aspects of the intersection of people with nature. Her blog features photos from the whole year 'round, and let you appreciate both what waits outside your door and the promise of beauty in seasons yet to come. Check out Trailscapes and see all she has to offer! Still, if you look hard enough you will find some houses that decorate elaborately for Christmas. We've featured some houses in Scranton on these pages before. Anyone going through the Nay Aug Christmas Lights display in Scranton this year (highly recommended, and much better than when I went through a few years ago) will see these houses outshining the public display. Many residents of Scranton and the surrounding areas are familiar with the holiday alley just off Moosic Street, an entire alley decked out in Christmas displays. The house above is not part of that alley, but I was guided to it by a friend who had us drive through the alley, make a right, and then a left. Fortunately I keep a camera and a tripod in the car at all times for just such a situation. There's still time to cruise through NEPA and see the Christmas lights. 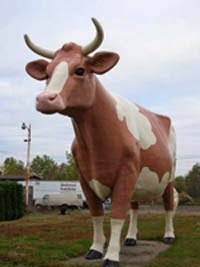 If you get a chance, go out and see them before they get taken down and placed in storage for another eleven months! 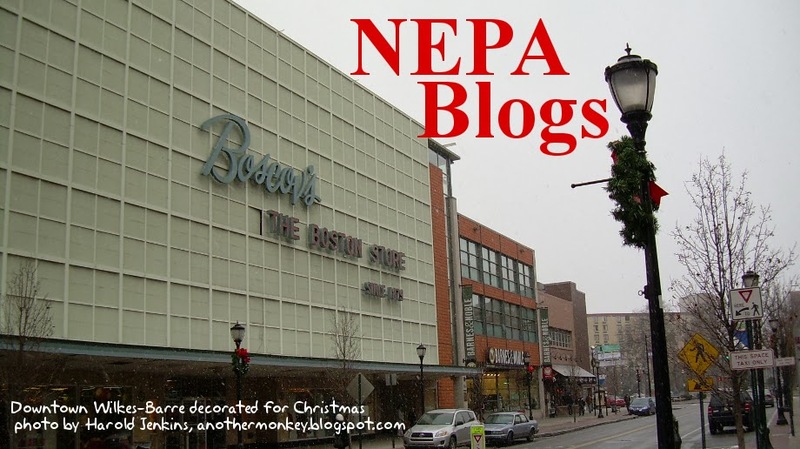 And merry Christmas to you all from NEPA Blogs! One sure sign that the holidays are upon us is the sudden outbreak of holiday school concerts. The Northwest School District presented their Holiday Choral Concert on Thursday, December 12, postponed by snow from its original date of Tuesday, December 10. 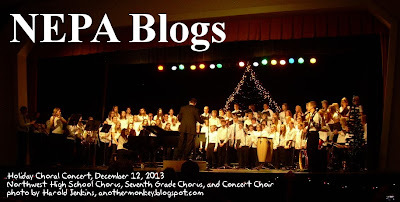 This concert featured the combined efforts of the Northwest High School Chorus, the Seventh Grade Chorus, and the Concert Choir, and even featured a number of members of the chorus playing instruments, as seen above. 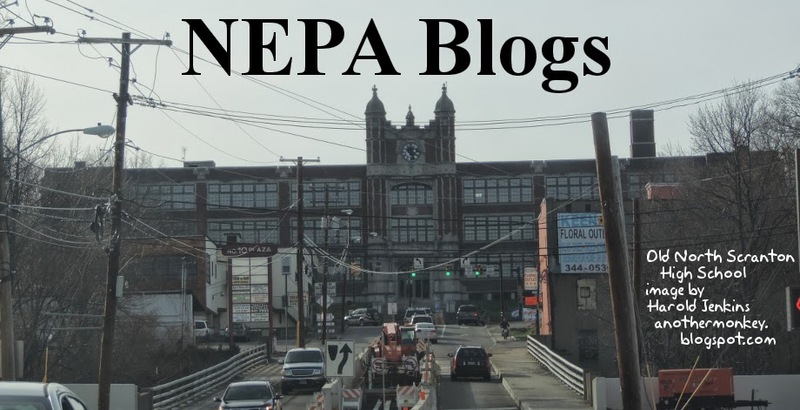 If you have an image you'd like to see featured as the NEPA Blogs header, send it to us here at nepablogs@gmail.com . Thanks! Our PA Live! Blog of the Week this week is MyBeerBuzz (http://mybeerbuzz.blogspot.com/). MyBeerBuzz is a blog that is all about beer! 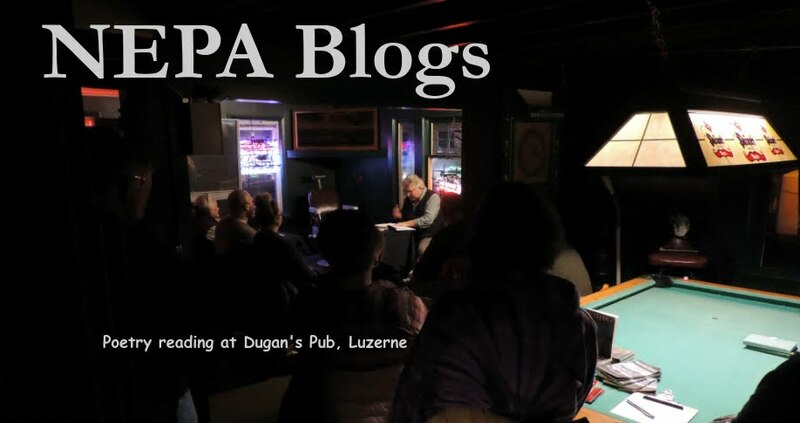 Since April 2008 MyBeerBuzz has been posting about the craft beer scene in Northeastern PA. With an average of about 750 posts a month, this is a blog that's going to keep you well-informed about the enormous variety of craft beers available in NEPA and beyond! MyBeerBuzz has a strong local media presence, and is regularly featured on WILK radio. If you're interested in beer but tired of the same old commercial brews, MyBeerBuzz is the place to go. From sample reports to locations where you can get these beers yourself, MyBeerBuzz is your guide to the amazing world of craft beers! 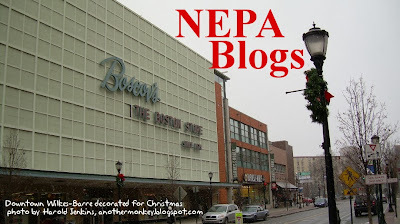 The header image for this week is a shot of the anchor stores of downtown Wilkes-Barre, Boscov's and Barnes & Noble, decked out for Christmas. I still can't get used to seeing the downtown without the canopies. Unlike a lot of people, I liked and appreciated them. I thought they gave a unifying look to the downtown that spoke beyond the place as a dying rust-belt town trying to keep its head above water. They also served a very useful purpose in keeping the rain and snow off pedestrians. But the canopies are gone now, and that's a fact of life. 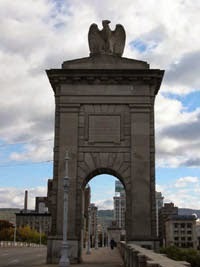 This is downtown Wilkes-Barre's new look. 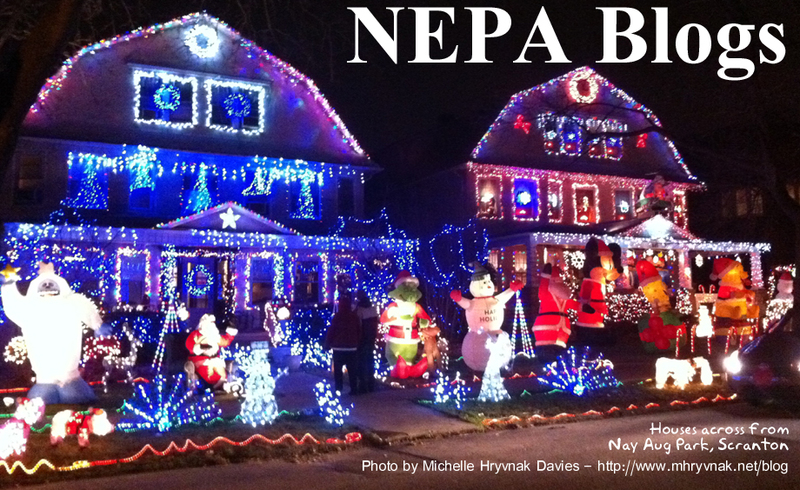 If you have a photo you'd like to see featured as the NEPA Blogs header, send it to us at nepablogs@gmail.com. Our PA Live! 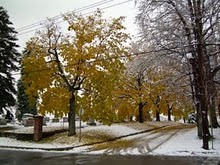 Blog of the Week this week is Kara Zoeller's Saving by Design (http://savingbydesign.com/). Saving by Design is an amazing blog. Kara Zoeller has set out to create a world-class site that provides information on discounts, deals, and savings locally and nationally. Since June 2011 Saving by Design has been helping the people of Northeastern Pennsylvania save money and find great deals at both local stores and national chains. Deals change week by week and month by month, so while it's good to keep up by constantly following Kara's blog, it's also good to know that there will always be something new and current waiting for you at Saving by Design! Whether you're looking for the latest deals at Target, Walmart, or the local grocery store, Kara has you covered! Some blogs provide you with information. Some provide opinions. Some provide entertainment. Saving by Design provides savings! And who wouldn't mind saving some money these days? Be sure to check Saving by Design out to see all that it can do for you! 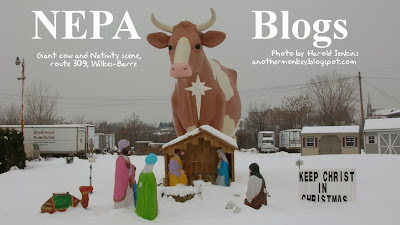 Three-O-Nina, the giant cow outside of Krugel's on route 309 in Wilkes-Barre, appears ready to start grazing on the hay in the manger of the Nativity scene set up in front of her. Don't eat the baby Jesus, Three-O-Nina! This image is from December 2005. Will a similar scene be set up this year? That remains to be seen! 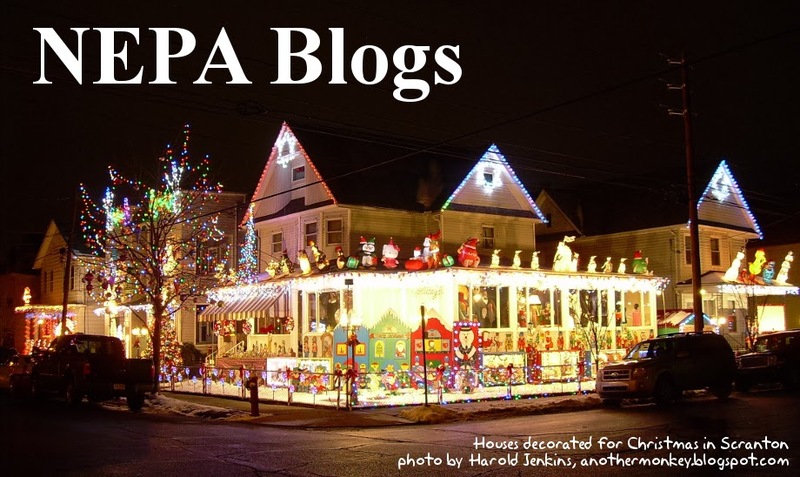 Do you have a photo you'd like to see featured as the NEPA Blogs header? send it to us at nepablogs@gmail.com. Many folks in Northeastern Pennsylvania will recognize Trish Hartman from her time with television station WNEP. 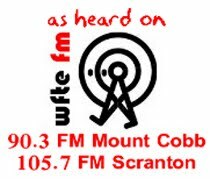 She left the airwaves of Northeastern Pennsylvania some time ago because, as some will recall, she got married and moved out of the area. The Dish Ran Away with the Spoon started out in February 2012 as a blog about her preparations for her upcoming marriage - not just the ceremony itself, but all about making the transition to married life, and the program of diet and exercise (running!) that Trish had put herself on to get into fighting shape for her wedding. And then, all of a sudden, the big day came...and went. And Trish was left with a blog about preparing for a wedding that had already happened. What to do? What Trish did was make The Dish Ran Away with the Spoon into her personal blog, detailing aspects of her daily life and things she would like to share. Diet and exercise are still there, as are book clubs, recipes, Trish's ongoing involvement in the world of journalism, adventures in sewing, and all the other bits and pieces of her private life that she chooses to put on public display. Life goes on, and so far, Trish has had no shortage of material for her blog! Follow her continuing adventures on The Dish Ran Away with the Spoon!